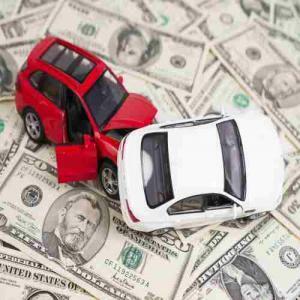 What Factors Determine Auto Insurance Pricing? Shopping around for car insurance can be confusing. Finding one that best suits your needs (and budget) can be just as intimidating. What you have to realize before you even begin, however, is that while companies often differ in regard to the premiums that they offer to you. There are several factors that will automatically result in you having a higher or lower premium. Your age, gender, marital status, and where you live can all affect your auto insurance premiums. If you’re under the age of 25, you’re statistically more likely to be in a car crash. Insurance companies will put a higher premium on your policy. However, if you are a student, many insurance companies will offer you a discount. Don’t forget to ask about that if it applies to you. In terms of gender, this is often tied in with age—specifically, young men tend to be in more crashes compared with young women. However, the opposite is the case for the older cohorts. Where you call home (or more specifically, where the car will be located) can have a major effect on your premiums. Living in a big city with higher crime rates will put you on the path to pay higher rates. This holds true no matter the company. On the other hand, if you live in a small, quiet town out in the country, statistically you’re more likely to be safe from auto theft or vandalism and thus will likely have a lower premium on your auto insurance. The type of car you drive plays a big factor in your rates. How old is your car? What model is it? What are the safety ratings? These things have a big impact on your rates. A car that’s rated as more safe will receive a lower premium than a car that’s rated as less safe. While this seems obvious, many people don’t think of this when car shopping. Additionally, larger vehicles tend to be safer than smaller vehicles. Thus, they will often receive a lower premium. However, if the engine itself is large compared to the size of the car, then the premium may be increased. This means you, sports car drivers! Are you a good driver? Or have you been in more accidents than you have fingers on your hands? Someone who has never been in an accident will often get a lower premium than someone who has been in several. These are just some of the ways that insurance companies come up with the premium for your specific insurance policy. Keep in mind, insurance companies often will also offer various discounts, so while you may suffer some “hits” from the factors mentioned above, you might be able to find other ways to save and thus reduce the overall premium for your auto insurance policy. You left out credit score, rent or own and age – if your credit score is low that has a negative impact on the rating and you would be placed in a higher risk pool- conversely, if your credit score is excellent you would be placed in a lower risk pool. If you own a home that is favorable during the rating process – more favorable than renting an apartment. If you are between the ages of 16 and 25 that has a different rating than if you are between 26 and 64 and then at each birthday 65-75-85 your rating could be impacted. Interesting, thanks for the perspective! Lets mot forget claim propensity counts too. the more claims you file (yes even glass and towing) your rate can be adversely affected.